YOUR DREAM. OUR MISSION... GETTING THERE TOGETHER. With our blended format and online programs, you can enjoy the same perks as those who have taken the course in a classroom setting. Keep on reading and learn more about some of the opportunities that can open up for you. Block transfer of your Associate Degree credits to a Bachelor Degree program with National American University. This partnership allows Antonelli College graduates to complete a bachelor's degree in about half the time. As a career-focused school, Antonelli College offers programs in some of today's fastest-growing career fields. Choose your path today! At Antonelli College, we instantly welcome you to become part of our community. You'll meet engaging faculty members dedicated to your success, and our strong alumni network can be found in communities throughout Ohio and Mississippi. A college degree can open up doors and improve careers, but there's more to success in life than work and money. See how a degree has changed the lives of these graduates. Antonelli College's arts & design programs are intensive, short-term Associate degree programs which blend the both new technology and traditional design theory. As design students, you will develop your portfolios with your capstone project and be trained by instructors with real-working industry experience. Our mission is to provide the top-quality instruction to prepare you for the medical professional program of your choosing. 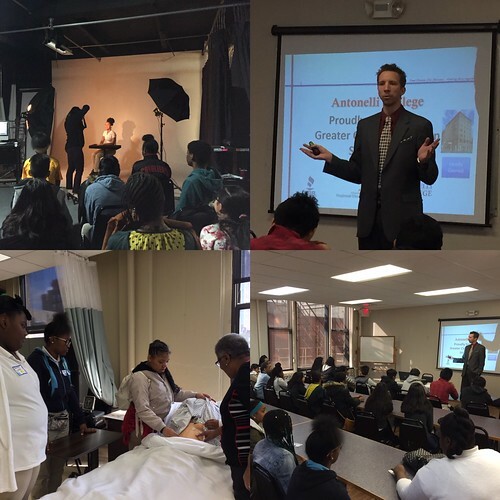 Our hands-on training programs are designed to help Antonelli students become a lasting success in their future healthcare career.